2017 pressing bronze vinyl with black splatter. 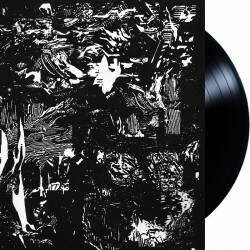 Comes in a Gatefold cover (printed with copper ink on black) with re-worked layout (under the bands supervision) and an exclusive audio mastering for this LP pressing only. The original cover artwork is featured inside of the gatefold cover.